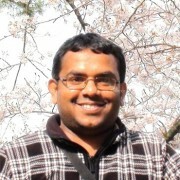 Dr. Daham Jayawardana is Senior Lecturer at the Department of Forestry and Environmental Sciences, University of Sri Jayewardenepura. He obtained B.Sc. Sp. (Geology), M.Sc. (Japan), Ph.D. (Japan). His research interests are in Geology, Soil Science, Trace Element Mobility in Water and Soil, Geographical Information System. Faculty of Applied Sciences of the University of Sri Jayewardenepura , Sri Lanka..